Hobart Hurricanes strengthened their position at the top of the Big Bash League table with a comfortable 10-wicket victory over Adelaide Strikers in a repeat of last year's final. It was the Strikers who came out on top in the 2018 decider, but they failed to fire at Adelaide Oval on Monday, despite captain Colin Ingram hitting an unbeaten 67. 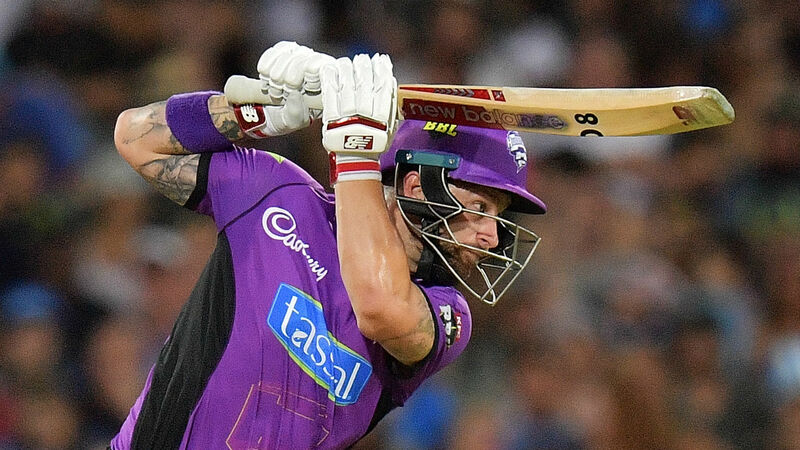 They failed to take a single wicket as the Hurricanes reeled in their 155-run target with more than three overs to spare, with Matthew Wade (84 not out) and D'Arcy Short (73no) combining to claim a convincing victory. The result sends the Hurricanes three games clear at the summit, while the Strikers remain outside the top four. Skipper Ingram hit six fours and three sixes as he desperately sought to make a contest of the encounter. But he was the Strikers' standout performer by a distance, with Alex Carey and Jon Wells both hitting 28 while Jake Weatherald (4), Matthew Short (13), Rashid Khan (2) and Cameron Valente (4no) failed to make telling contributions. James Faulkner (2-24) and Jofra Archer (2-23) shone for the Hurricanes as the Strikers ambled to 154-5. The Hurricanes are unlikely to face a more pain-free chase in the BBL this season, after Wade and Short spared their team-mates of the need to bat. Wade led the charge with his 84 off 49 deliveries and he was ably assisted by Short, who brought up his fifth fifty of the campaign. Short (441) and Wade (323) are now the top two scorers in this season's competition.